What kinds of cooks are you looking for? We are on a nationwide search for talented kids between the ages of 8 – 13 who love to cook, from all types of backgrounds, and with a range of cooking styles to audition for MasterChef Junior. Whether your child enjoys cooking delightful desserts or hefty main courses, whether they cook fine French cuisine or prefer a great tasting burger, we want to hear from you. If cooking is your child’s passion, you cannot miss out on this opportunity. Are there any restrictions to apply? Your child must be 8 to 13-years-old as of April 29, 2019. They must also be a citizen or legal permanent resident of the United States. How does my child apply to be on MasterChef Junior? Please go to www.masterchefjuniorcasting.com for all audition information. We encourage everyone to attend an open call in one of the cities that will be posted on our site. All kids must have a parent or legal guardian submit the application form online and bring a hard copy signed by both parents or legal guardian(s) to the open call. If you are unable to complete or print the online form, we will distribute hard copies at the open call. the home video instructions carefully. When is the deadline to send in the video submission with application? The video submissions with application must be received and/or postmarked by Wednesday, March 20, 2019 at Midnight, PST. Producers reserve the right to extend the deadline at Producers’ sole discretion. Should my child make a video for submission if we plan to attend the open call? No, it is not necessary if your child attends an open call. We only ask that you – (the parent or legal guardian) send in a video submission for your child by mail if your child cannot attend an open call. Please note that we receive thousands of video submissions so make sure your child’s stands out! After the open call, when will I know if my child is moving on to the second round? Those who are selected for callbacks, will be told at the time of their audition or shortly thereafter. Callbacks will be scheduled approximately 1-3 days after the open call. If my child is selected to participate on the show, what is the time commitment? If your child is selected to be on the show, you and your child must be available to commit to the competition and taping of this show for approximately 9 weeks sometime between May 2019 and August 2019 depending on how far your child advances in the competition, but dates are subject to change at Producer’s sole discretion. What does my child need to bring to the open call? You must attend the open call with your child. Please download the application and release (go to www.masterchefjuniorcasting.com), print, fill out and sign it and bring it with you to an open call. We will be asking your child to demonstrate their culinary ability. PLEASE BRING AN APRON. 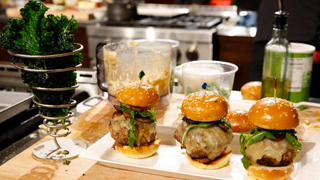 They will be asked to plate the dish that they created on their own for the open call for Gordon Ramsay’s Culinary Team. They will also show Gordon’s team their chopping skills. We will provide the cutlery. What should my child wear to the open call? Your child can wear anything they like, as long as it doesn’t have a logo, photo, artwork, name of a recognizable celebrity, band, or other group, or a product brand name. They should wear something that best represents them! When and where will the auditions be held? Will everyone in line have the opportunity to audition on the audition day? We would love to audition everyone that shows up; however, this may not be possible due to the tight production schedule. We cannot guarantee that everyone will be given the opportunity to audition, but we will try our best to see everyone that shows up. If we are unable to see everyone the day of the auditions, don’t worry! We are diligent about getting everyone’s contact information at the open call and will try to follow up with all who attend. 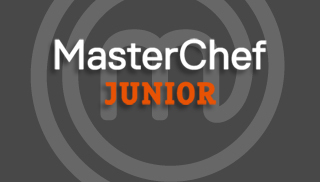 We encourage you to complete your child’s application and apply online at www.masterchefjuniorcasting.com. Do you charge for the auditions? Is there a charge for parking at the venue(s)? There may be a parking fee at the venue. The parking fees are set and collected by the venue management. We have nothing to do with the parking fees or facilities. It is highly likely that you will have to pay for parking each time you come in and out of the parking structure. For example, if you leave the parking structure to go out and purchase food and then return, you will probably have to pay again. Will there be anywhere to purchase food and drinks while in line at the audition venue? Food and drinks will not be available for purchase at the venue, so please bring your own water and snacks. Please be sure to have your child eat something prior to coming to the registration and the audition in order to keep their energy level up. Remember, breakfast is the most important meal of the day and this could be the most important audition of your child’s life! What should my child NOT bring with them to the auditions? The list of prohibited items below is not exhaustive and even if an item is not listed below, the Producers and security reserve the right to ask you to remove any such item from the venue. People in possession of prohibited items will be denied admission to the line and to the venue, and may be subject to immediate disqualification. All bags are subject to search. If my child makes the show, what is the time commitment? One parent and child will need to be available for filming somewhere between May 2019 through August 2019. Will there be a teacher on set during filming? Yes, there WILL be a teacher on set during filming. information on this website and these additional documents, the documents shall control. The food experts shall be selected by the Producer of the series in its sole and absolute discretion and the decision of the Producer of the series is final in all respects. Pre-register and follow @MasterChefUSAon Facebook, Twitter, and Instagram for more!